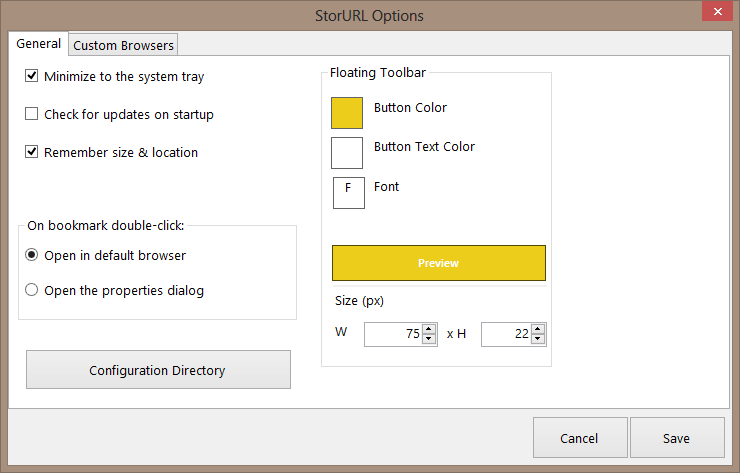 StorURL is a bookmark manager. It helps you to store links to all of your favorite websites in one central repository. It works with the browsers installed on your system so you can open your links in any web browser you’d like from one central interface. StorURL has a portable version. 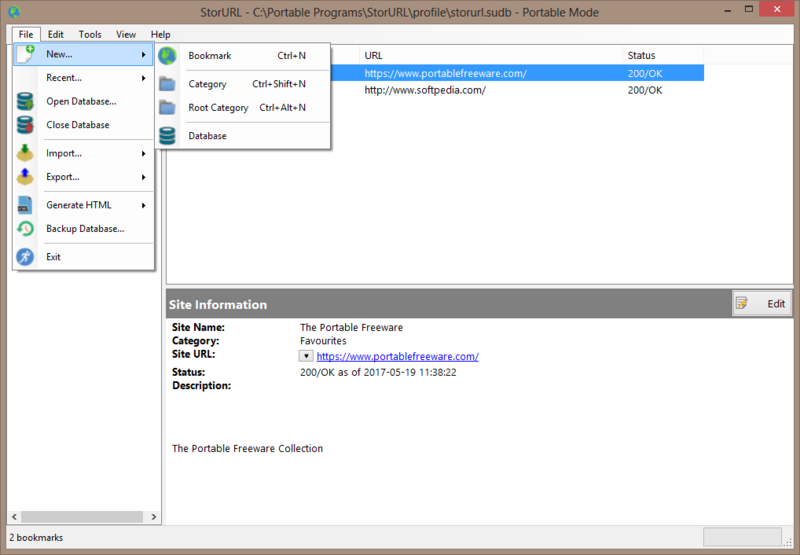 StorURL data and settings files (recent.xml, settings.xml, storurl.sudb) are saved in profile sub-folder in program folder. loss/damage of data or information. StorURL was first mentioned by Andrew Lee in this forum thread. StorURL may crash when launched for the first time when no database is found. Creating a new database and restarting the program fixes the problem. 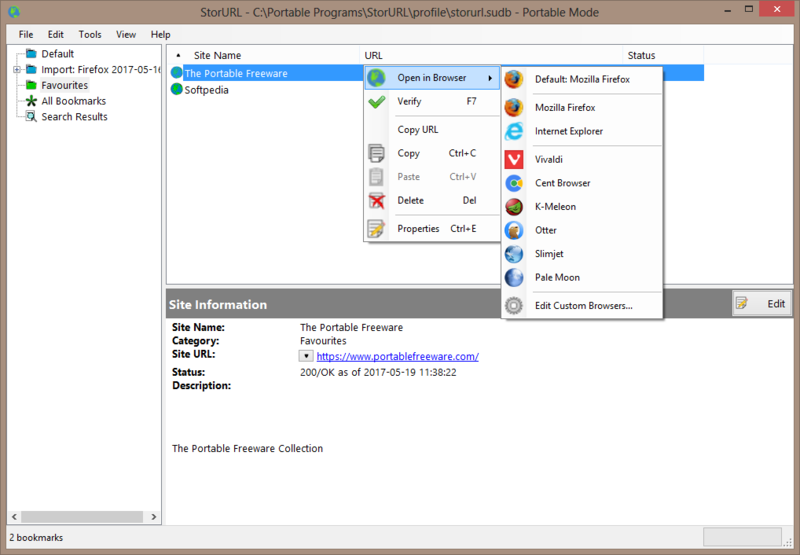 The developer of StorURL - Joey Hazlett, is helpful and responsive to suggestions. 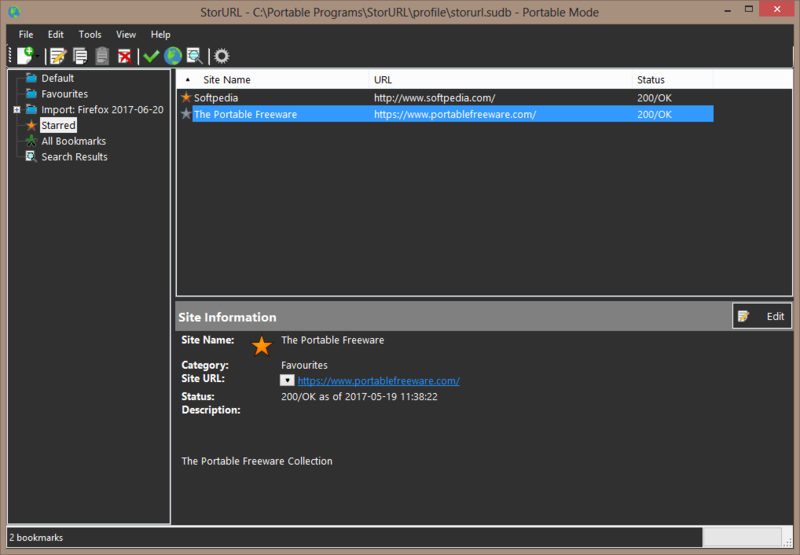 File details for StorURL version 3.0.4.0 released on 2017-05-18. I updated the download links upon developer's request. Last edited by smaragdus on Fri Jun 02, 2017 7:44 pm, edited 2 times in total. Nice alternative to URL GATHER, much appreciated, Not much time to test but I'd love to hear about advantages/disadvantages comparing both. I like both StorURL and URL Gather. It is a matter of personal preferences but to me StorURL is more flexible- it has its own unique "Floating Toolbar" which gives the user the option to open bookmarks from it (it resides on the top left corner of the desktop). 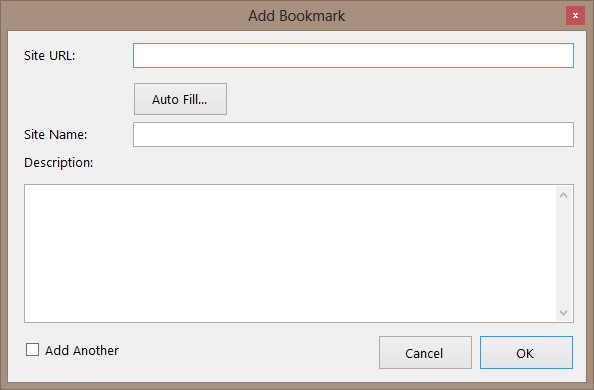 In StorURL bookmarks can also be launched from tray menu which means that there are 3 different ways to open a bookmark- from floating tool-bar, from tray and from program's main window. 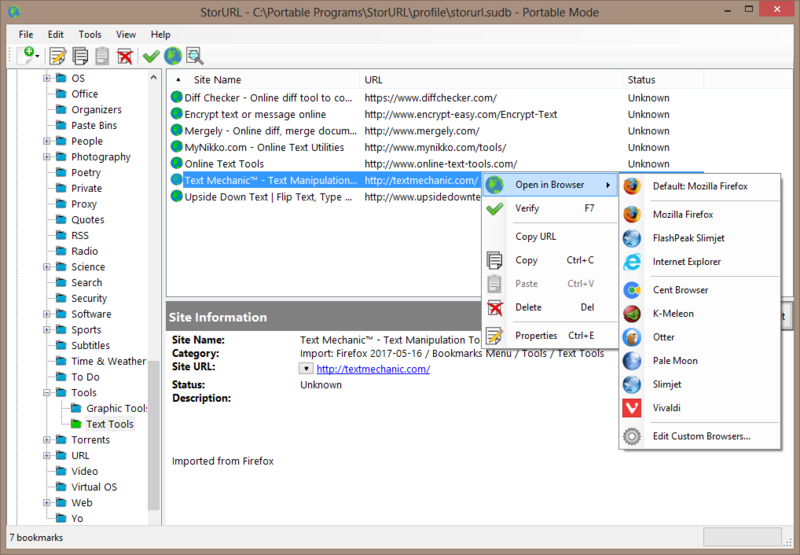 In URL Gather the user may add different browsers but can use only the one which is set to default while in StorURL any added browser can be used to launch a bookmark from a sub-menu. 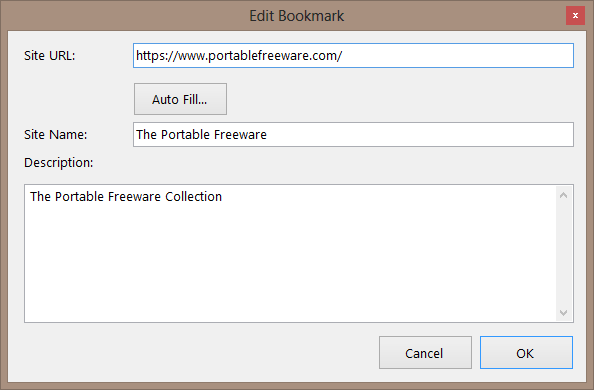 StorURL also offers bookmarks verification which makes it an alternative to the now discontinued AM-DeadLink. URL Gather has a tool-bar while StorURL doesn't- once it had but the developer removed it. Yet he let me know that the tool-bar might be restored in the future. URL Gather can be password-protected. On my system StorURL uses a bit more memory- StorURL- 56 MB, URL Gather- 41 MB. 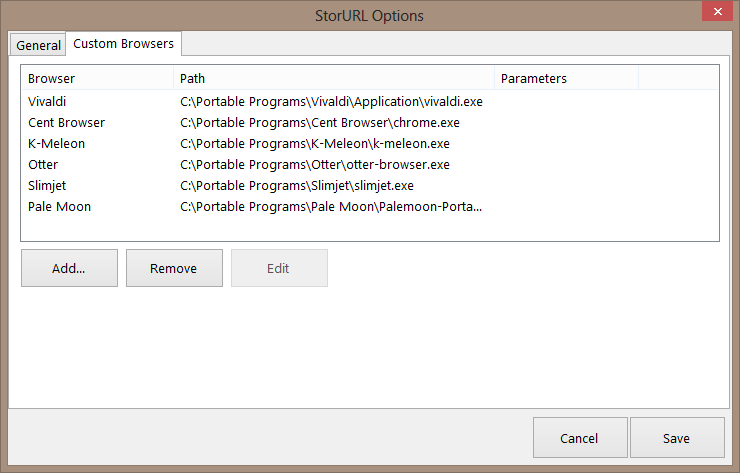 StorURL requires .NET and someone may consider this as disadvantage. 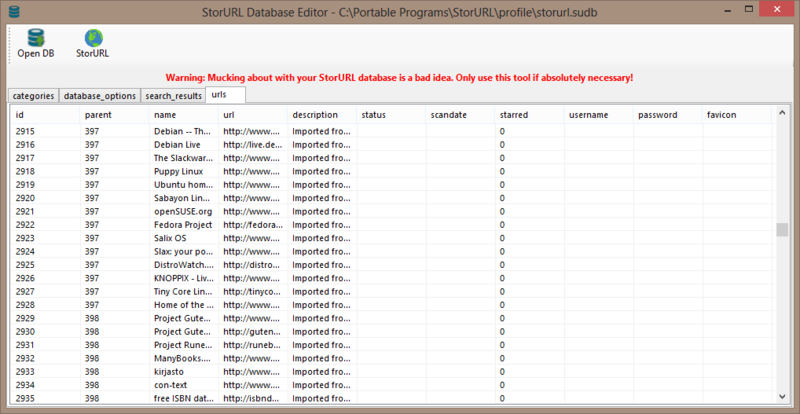 StorURL also offers HTML generation and database backup while URL Gather has duplicates search. This is great. I never had much use for bookmark managers until a recent situation on a site that requires IE but works SO much better with Firefox (especially the amazing DownThemAll add-on). Certainly tools like Open in IE help but it would be a lot easier to have something handling links functioning separate from the browsers. Will test this out soon. Extremely fast fix by the developer. I added StorURLto the database. StorURL was first mentioned by Andrew Lee. These two forum threads may be merged. Night Mode can be turned on from View in Menu Bar. The increased import speed and finally including bookmark descriptions from Firefox imports has made this 110% usable for me. But most of my bookmarks with blank descriptions is filled with "Imported from Firefox" text. I don't think cluttering every single bookmark with this phrase is necessary. Oddly some bookmark descriptions are kept blank just as I want them to be. Might be a bug. Most likely the developer is not following this forum thread so if you encounter problems or have suggestions you may contact the developer directly.